There are people who are bounded with rules to achieve their goals and yet success is seemed to be so elusive for them. On the other hand, there are those who appear to be sort of a happy go lucky type individuals but they are the ones that are successful. Do you think that you have the traits and guts to be like them? Or would you rather do something differently to achieve the elusive success? Take the courage to set up your goals in the proper perspective. Goals are actually the representations of your visions and your future of what you wanted to be. 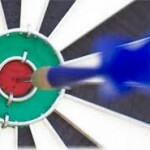 Foremost, goals should be achievable and realistic. You should consider them as part of your daily activities that allow you to monitor its progress. However, it should be done in hot pursuit not just merely setting realistic goals without relegating so much effort from your end. Remember that in order to achieve your goals, you must put your act together accordingly with optimism and oozing with confidence that you can do it. Otherwise, all else would be a worthless endeavor if you don’t exert any effort in reaching them. The following will help you in realizing your goals. ***	Make an outline and enhance your skills by supporting any supplemental or complimentary activities that will help you in meeting your goals. ***	Be a strategist that is one willing to take the risks. Strategic thinking and planning is vital because this will allow you to be more productive and focus more on your activities according to plan. 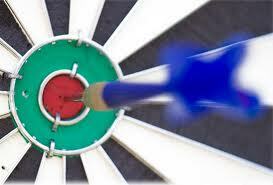 ***	Stick to plan by putting your act together based of what you have outlined and as guide in meeting your goal. Proper mind setting is very important in achieving them. Be willing to take that extra mile if necessary to hasten the realization of your goal. In taking the risks, never compromise your safety. It means also that you are ready to learn new things and challenges in life. Remember that setting goals does not mean that failure is not likely. Setting them means that you have acknowledged your limitations and you are ready to work your way up towards success, professionally or personally. 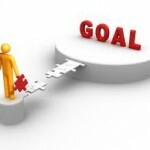 At times, these goals even create conflicts that you are thinking of giving it up. Instead take your heart and step up the courage in confronting whenever challenges come your way. Everyone has similar concerns at times but they don’t lose heart either. If you think that your goal is too complex to achieve, take someone as a partner, maybe a friend who would be willing to help you out to achieve your goals? Collaborate with them and learn to prioritize things. If it requires time in brainstorming all the possibilities with both the pros and cons, you need to try them and do it. 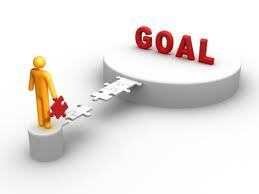 Remember that goal setting that is so focused is at your benefits. So try working things out, avoid distraction and concentrate fully to them. Working in a proper mindset, you’ll never know that it would be the key in achieving those valuable goals you would have never expected to happen at all. Let’s say, if you are vying for promotion in your workplace, it is important that you see yourself already in the position you are wanting. You will then realize that goals, no matter how difficult they may appear, they are not that impossible to make it happen. In a positive note, for all you know sweet success suddenly knocks on your door to commend yourself for a job well done. Lastly, be opened spiritually to yourself that this life is not only about failures and successes but there is a Supreme Being that is controlling our destiny. It is not for us to decide of what should be in stored for us but it is our approach based on our intention of why things are happening in favor or against us. Remember that positive thinking with pure intention is with God.